Disclosure: I was provided the book for an honest review. Connection: Rafe Martin is in my social media circle and I’ve likely known him in some Jataka Tale or the other. Rafe Martin adds Before Buddha was Buddha: Learning from the Jataka tales to already prodigious library of mythic tales drawn from the Buddha’s past lives. The morality themes in the stories resonate with other morality tales from the same period such as Aesop’s fables. The primary – and crucial – difference, however, is the portrayal of human frailties: animals typically carry the tone of moral decrepitude in the Greek and later Renaissance fables whereas, in the Jataka Tales, the moral lack is equally possible in humans as in animals. Perhaps this is the deep appeal of the Buddha’s past lives and its potential for discomfort; we are not spared painful lessons by being at the top of this food chain. 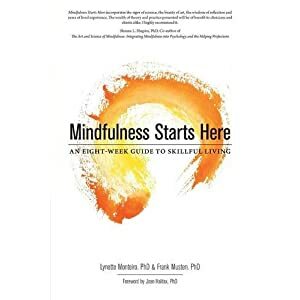 In the introduction, Martin offers one of the least addressed challenges to Prince Siddhartha Gautama’s sudden realization that aging, illness, and death occur. Not only quietly challenging this hole in the plot of the Buddha’s coming to be, he also offers the insight missed by many others: it’s the felt sense, that deep embodied realization of the reality of aging, illness, and death that wakes us up. It’s the beginner’s mind of all beginnings. The familiar, the taken-for-granted, the obvious is inescapably real. And the rest, as is often said, is commentary. The heart of the Jataka teachings is that this human birth is precious. And the rhythmically pounding message is that it’s not the final destination. The animals in the Jataka tales are by turns blind and aware of this message. Their actions move them in the direction of becoming human; whether we choose to see it as rebirth or realizing their own-form compassionate nature depends on our own landscape. The naga king who chooses to become the silver snake, the monkey king who sees through the delusions of humans and their self-making, the two cousins reborn over and over as fawns and osprey – they begin to understand that the path to liberation is through the human birth and. Yet, I wonder if that idea has a risky edge of elevating our human capacity above the others. Perhaps it doesn’t matter because the human lives lived by the future Buddha in the Jataka stories are equally challenged and, after many, many failed attempts at liberation, seem to finally arrive at the base of the bodhi tree. Because I’ve felt too many dharma talks rely on students having already cultivated clear comprehension and too many teachers presume vicarious learning suffices, Martin’s commentaries for each Jataka tale are important to read because they offer a clear perspective of the intent of the tales. As we learned from the Zen story of Gutei’s finger, much can be lost in translation. Martin skillfully draws from the teachings of Zen masters and threads together the sometimes elusive morals in the tales. As he emphasizes in the tale of the Bodhisattva Robber, it helps to know what is really being taught. This entry was posted in book reviews, Western Teachers and tagged Buddha, enlightenment, ethics, jataka tales, Rafe Martin. Bookmark the permalink.